What’s Behind The Bandersnatch Path That Makes You Do More Than Pick An Option? 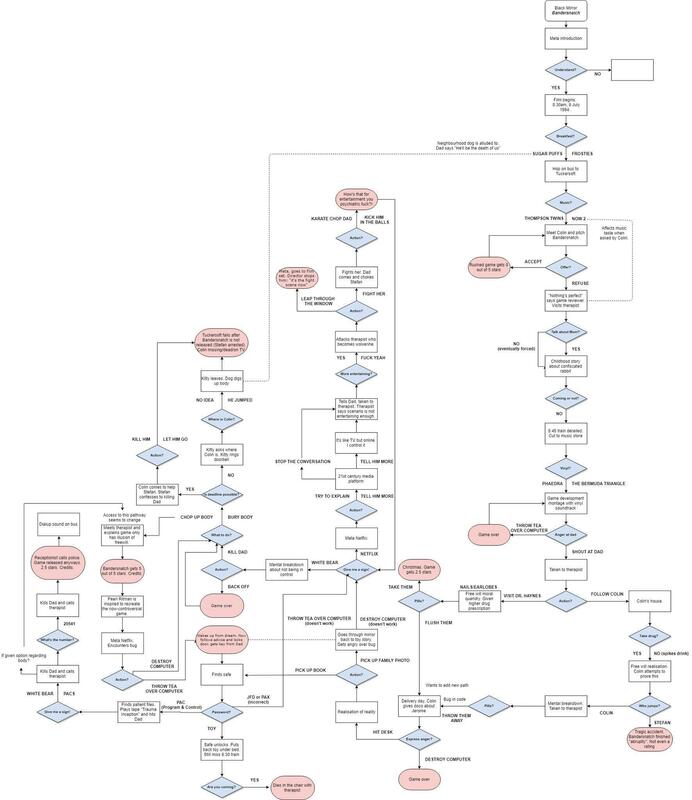 Bandersnatch is the ultimate, dark “choose your own adventure” story. All of your actions have consequences, some more morbid and quintessentially Black Mirror than others. While many paths involve Stefan (Fionn Whitehead) speaking to his therapist and require the viewer to make a choice between two options, only one path asks the viewer to take a single further action: dial a number and make a phone call. After Stefan finds the “Trauma Inception” patient files, he is filled with confusion and anger and kills his father. This isn’t the only path that leads Stefan to kill his father, but this one is slightly different. He calls his therapist and is asked about a number. If at this point you are wondering, “Wait, what number?” you’re not alone. Reddit users successfully hunted down the correct sequence: 20541. Some first theorized that the numbers appeared in the flashbacks Stefan experienced at his therapist’s office. Others believed it had something to do with the phrase “All for one and one for all.” According to this walkthrough guide, the number is given to you through a montage of quick cut scenes. With anything Black Mirror, every little detail could — and likely does — mean something significant. After inputting the numbers, Stefan is patched through to the office receptionist. The result, like several other iterations of the film, is Stefan going to jail and the game only doing marginally well. Not everyone is convinced that 20541 is the only correct number sequence. Twitter users postulate that, like every choice you make in Bandersnatch, that the other number sequences lead to even more storylines. This hasn’t been proven though. So far, 20541 is the only proven number sequence to work.